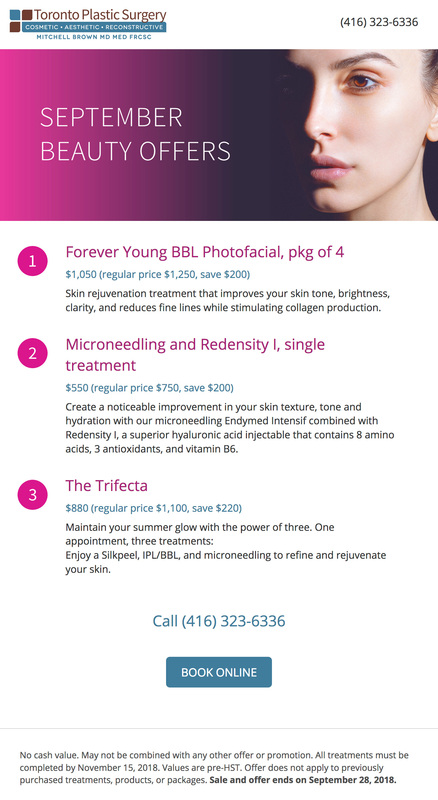 Three great offers available until September 28th. Call our office or book your treatment online. All about BRA Day in Toronto with Dr. Brown & Dr. Somogyi. Don't miss our special offers and promotions. Sign up today and get our quarterly updates straight to your inbox!